Another great shot from a different angle. Image Copyright CyberCom, Inc. Some of our favorite places to visit in Hawaii offer a variety of scenery like long beautiful drives and beautiful shorelines. There’s so many gorgeous views that you can admire with your windows rolled down. The North Shore is an area on the northern shore of the island of O’ahu. It’s about an hour north of the city, Honolulu. It’s the premiere surf capital of the world. One of the biggest surf competitions, the Billabong Pipe masters, is hosted at the north shore. During the winter time, big winter swells make for tall, intimidating waves. That attracts professional surfers from across the globe. The North Shore’s biggest town, Haleiwa, has several local restaurants and shops. It’s a cute place to walk around, for tourists and locals. The fruit bowls are amazing in Haleiwa, as well as garlic shrimp. Waimea Beach Park is a more popular beach for people. The parking is pretty limited, and during the summer months it’s almost impossible to snag a spot. I recommend Ehukai beach park, that’s one of my favorites. predawn by paul bica is licensed under CC BY 2.0. Image may have been resized or cropped from original. Absolutely awesome image of Mount Haleakala (“House of the Sun”) . 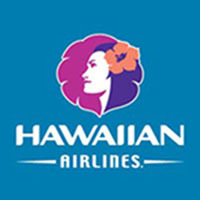 This is a must-see in Maui and predawn is the most amazing best time to be there. Haleakala is an active volcano that makes up a huge chunk of the island of Maui. It’s a shield volcano so it’s relatively flat compared to other volcanoes. It’s protected by the federal government because it’s a national park. The volcano has had several small eruptions in the last 1000 years. The last eruption was around 1790. It’s not considered a threat to neighboring communities but geologists still closely monitor the mountain. There’s been lots of controversy in recent times with regards to building telescopes at the peak of Haleakala. Native Hawaiian advocacy groups regard the area as a sacred because of its’ burial grounds. Protests began when the courts ruled that the thirty meter telescope project was approved and could progress. There’s a visitor center and viewing areas that you can see at the peak. The view is phenomenal and it really is an amazing place. The Napali coast is a state park stretching almost 16 miles across the northwest shore of the oldest inhabited island in the bunch, Kaua’i. There are several tours leading groups along the coast for a kayaking or camping tour. It can be a strenuous journey, but a rewarding one. The Napali coast is one of the most famous in the world. 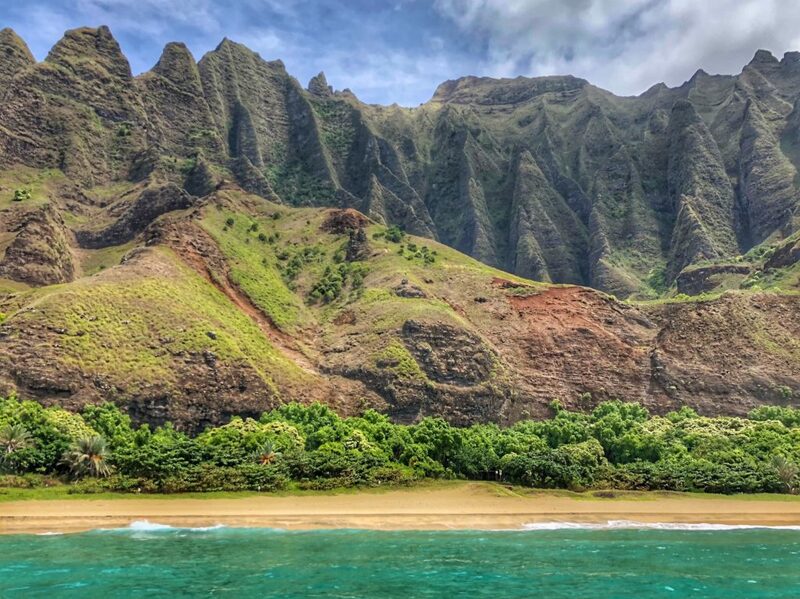 When you see pictures of Kaua’i, you’ll probably see pictures of the Napali coast. During the winter time, swells can be overwhelming and so they don’t advise kayaking the area. The northwest shore of the island, just like the northwest shore of O’ahu, is prone to large swells and intimidating waves. The road to Hana is a beautiful 64 mile stretch connecting the towns of Kahului and Hana on the east side of Maui. The road is known for its windy and curvy features, as well as blind turns and some gnarly one way roads. At some points you’re driving alongside a cliff. For those with motion sickness, I would not recommend this route. It’s not going to be fun for you. I’ve never driven the route myself but several of my friends and my boyfriend have done it, and they’re mixed reviews. Before starting on this journey, if you so choose to do so, be sure that your vehicle has a significant amount of fuel (so a full tank would be the best option.) The road features beautiful views of Maui’s coastline and can offer some really scenic pictures. However, like I said, if you’re prone to motion sickness, this is not going to be fun for you and the views might not outweigh your discomfort. The road to Hana really is stunning to explore, if the drive doesn’t bother you.